MainAll NewsInside IsraelYa'alon courting former Netanyahu associates? Ya'alon courting former Netanyahu associates? Telem party chairman reportedly seeking to have former government secretary and head of communications join his party. 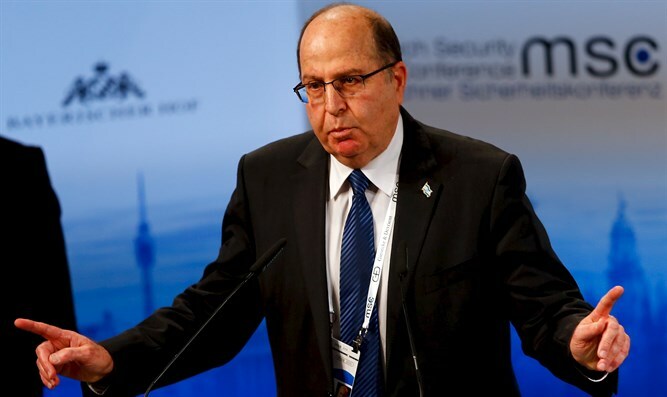 The chairman of the Telem party, Moshe Ya'alon, is working to add to his party Yoaz Hendel and Zvi Hauser, two right-wingers who have worked in the past with Prime Minister Binyamin Netanyahu, Channel 13 News reported on Sunday. According to the report, Ya'alon is interested in placing the two in high spots on his list, in preparation for the merger with Benny Gantz's Israel Resilience party. Hendel, who served as Netanyahu’s Director of Communications and Public Diplomacy, is slated to be placed second on Ya'alon's list. Hauser, who served as government secretary, is supposed to take the third spot. The order of the spots is likely to change in case of a union with Gantz’s party, but the two are supposed to be placed in relatively high spots within the top ten of the united list. Yoaz Hendel said in response, "I have not decided to join politics and I do not know that the parties are uniting." The Yediot Aharonot newspaper reported on Sunday that Gantz and Ya’alon are working to reach an agreement for an alliance, even before the launching of Gantz's election campaign this coming Tuesday. According to the report, an official agreement has yet to be signed, due to Ya'alon's demand that Gantz commit not to join a Netanyahu-led government. Reports last week indicated that talks between Ya’alon and Gantz are accelerating. The reports said Gantz is also examining the possibility of an alliance with the Gesher party of Orly Levy-Abekasis.